A 33-year-old pulled a man out of a car and bit him. Grant Young, 7 River Street, Bainsford, admitted the assault he committed in River Street, Bainsford on July 28. 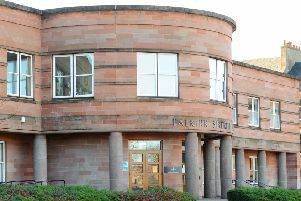 At Falkirk Sheriff Court last Thursday Sheriff Craig Caldwell deferred sentence on Young until Octobeer 19 when a review of his current community payback order is scheduled to take place.